The developer advises that there has been an update to version 5.2 of the App. First up, the new QR Code Scanner has been redesigned for ProCamera 7. It can be found under the Mode Switch (next to Night Mode). For enhanced security the ProCamera QR Code Scanner shows you the website URL so you can choose whether you want to visit the site. The EXIF Viewer now gives you all your photo and video data in an easy to read interface. A simple swipe to your left brings up the map, which shows you where the photo/video was taken, and amazingly, for photos, the direction you were facing. You can also keep the EXIF Viewer turned on while you swipe through your photos and video. The Auto Save option is back in the Settings. Now you can turn on the Auto Save to save straight to the Camera Roll/Lightbox or turn it off to preview each photograph before you choose to save or delete it. For those using the advanced focus and exposure controls (F/E Lock), we’ve fine-tuned the code resulting in faster locking on release. We hope this gives the street and documentary shooters even more confidence when preparing for a shot. We’ve also squashed a number of bugs and made detail improvements to the interface. One of our most feature packed updates to date with new TIFF file saving, Open-in functionality, high-res Instagram support and Shadows and Highlights correction tools. With the new TIFF file format you can now save and edit maximum quality, truly lossless photographs in ProCamera. There are two TIFF formats available, uncompressed TIFF or TIFF LZW for smaller file sizes. You can change the file format in Settings > More > File Format. Our new sharing functions make it even easier to get your photos online and in print. The Instagram SquarePrepare function now supports high-res exports - making your #ProCamera7 photos sharper than ever. The new Open In option lets you easily transfer photos between supporting editing and sharing apps. Open In supports TIFF functionality. We've also improved our DropBox compatibility and added Vimeo sharing. The new print option makes it possible for users to wirelessly print their photos at home or with print services that support the function. That's not all, we've also made a number of improvements to our Lightbox, Night Mode and video recording. The Lightbox now makes it easier to save, share and delete media from within the app. You can turn on the Lightbox in the Settings - it's top of the list. The Night Mode has been tweaked to limit noise in low light. Video frame rates are now fixed for broadcast quality recording. We've also heard your requests and have reintroduced the shadow and highlight correction tools into our ProCamera editing suite. Finally, we've made some epic code changes to make the app even faster and more stable. The developer advises that there has been an update to version 5.4.1 of the App. Our latest update sees the return of the Volume Trigger and improvements to the Self-timer and Torch (flashlight). The Self-timer function now allows you to take a series of three photos in a quick burst. Perfect for a series of selfies or group shots. This feature can be turned on in the Settings under Self-timer. We've also added an adjustable intensity slider to the Torch function. Now when you long press on the flash icon, a multi-step slider will appear, you can adjust the brightness of the continuous Torch light. With the torch slider you can add just the right amount of fill light to your portraits, especially at night. This is also useful when taking photos of close objects that causes a lot of reflections. ProCamera 7 is not only the photographer's app, it's also a 'swiss army knife' filled with many new practical uses related to your camera. Finally, we have sped up image processing, squashed some bugs and improved the graphics for non-retina displays. 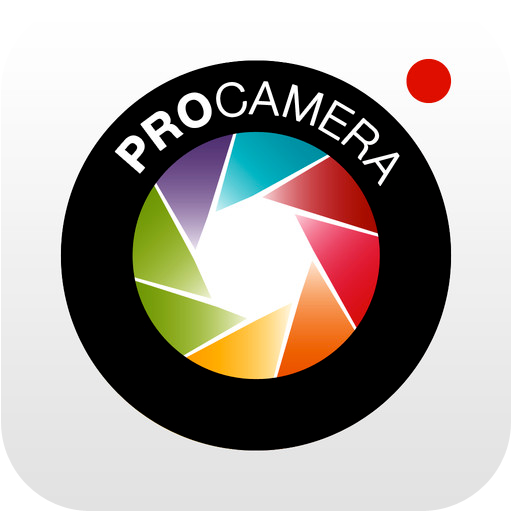 As always, if you find any bug or have a question please email us at support@procamera-app.com. We have added direct sharing to EyeEm - one of the world's largest mobile photography communities with millions of members in over 150 countries. For those that have EyeEm installed you will find the new icon (bottom right) on the Share screen. Clicking the icon will load the photo directly into EyeEm's edit screen ready for filtering, cropping and tagging. With stunning HDR, manual exposure and white balance controls, ProCamera 8 is our most epic update to date. We’re very excited to finally offer you incredible HDR photos in ProCamera 8. By partnering with vividHDR through an in-app purchase, we’ve developed the fastest, highest quality and most advanced three-shot HDR capture on iOS 8. In fact, the HDR capture is so accurate that it’s even possible to capture moving objects without ghosting. There are also five different HDR styles available, including Natural, Vivid and Black and White. These can be preset in the Control Panel or swiped through prior to saving. You can save a HDR photo with a watermark before purchasing. We can’t wait for you to try the HDR and hope you think it’s worth of the purchase. With iOS 8 we can now offer real exposure control in ProCamera 8. We’ve done this in two ways. The first is with a dedicated Exposure Compensation (EV) dial you can turn at any time right on the viewfinder (top row middle). The new EV dial gives you complete control over the light levels in your photos. We’ve designed it to always be within reach without distracting you from shooting. The second way you can control exposure is with the dedicated ISO & Shutter mode that you can turn on in the Control Panel. As the name suggests you now have full manual control over the ISO sensitivity and Shutter Speed on your iPhone. A simple tap on either reading in the top row will activate the corresponding dial below. Both the EV and ISO & Shutter Speed controls work with our well-loved yellow exposure circle (reticle). But that’s not all for manual controls. We’ve also added complete color control to the White Balance option in the Control Panel. Tapping on the White Balance on the capture screen now opens up a new world of manual color temperature and color tint. You now have precise control over how you color your world. Finally, for the videographers we have included slow motion playback for high-framerate videos. You can also adjust the pitch of your audio with one of four new presets.